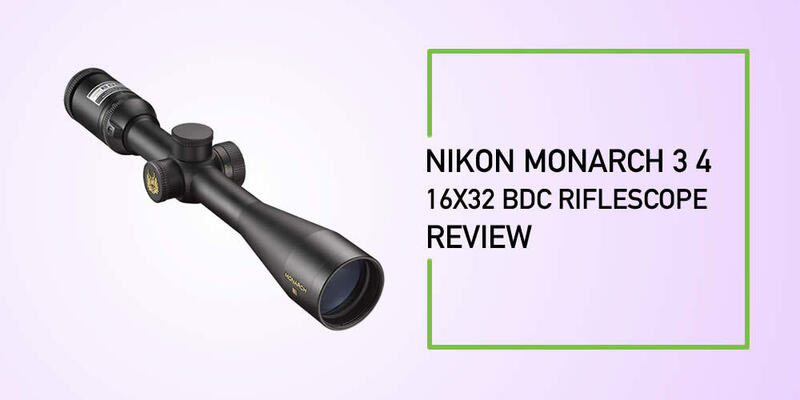 Not so long ago did Nikon release their Monarch 3 BDC Riflescope. While a generous number of buyers have already given it thumbs up, others are not sure if the device delivers. This is why we decided to get our hands on the device to understand its ABC’s and avail it on this piece just for you. Particularly, the article discloses the key features of the Nikon Monarch 3 4 16x42 that we observed. In case you don’t want to go through the hustle of reading through these features, you can quickly jump to the verdict and the pros and cons section. The main purpose of getting that riflescope of your choice is to observe an object from far with much ease, right? While most of the riflescopes out there do this, they often take time before focusing on the intended image. However, with the Nikon Monarch 3, its eyepiece is fitted with a quick focus which not only aids in fast focusing but easy focusing as well. Riflescopes that have reset turrets can be such a mood killer. If this was your biggest trouble, you would want to purchase this Nikon tool. Not only do their turrets have zero-reset but they are also fitted with spring-loaded adjustment knobs. The spring-loaded adjustment knobs aim to help in faster as well as quicker adjustments. Most of the riflescope does not come with self-adjusted parallax compensation. The few that manage to come with this feature always suffer a major problem of side focusing. Nikon seems to have been well versed with this problem because, in their NikonMonarch 3 Rifle scope, they have included a side focus for the self-adjusted parallax compensation. Much to this is that they have a locking mechanism. The optical system of the tool is engineered with an ultra clear coat for the fully multicoated lenses. As a result, a maximum of 95 percent light transmission for pristine and bright image is allowed. I don’t know what your thought is for these features but for us; this topped the list of all the unique feature of this gear. Have you ever heard of the dead-on holdover points? If your response is yes, we bet you understand the hustle that they come with if they are not fitted with proper reticles. Well, in the case of this riflescope the reticles are not only there but offer clear images especially to images that are far. You sure want to experience this yourself as the feeling is awesome. This is yet another amazing feature that comes with the Nikon Monarch 3 BDC. Through these characteristics, you are guaranteed a scope that is both fog proof as well as waterproof. Closely linked to this feature is the rugged design of the tool that makes you think that it is shock resistant. Gone are the years when you would struggle to access the spot on your Riflescopes. Thanks to our review, we got to learn that this device is engineered with a ballistic match technology. You don't understand what this is? 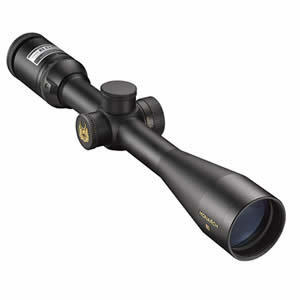 Well, it is the software in the tool that allows the user to easily access the spot of the Riflescopes. Awesome, right? Now that you have the basic knowledge concerning the noteworthy features of this Nikon device, why don’t you also get a quick pinch of the device’s pros as well as cons? Q: Is the lens sold with the protective caps? A: Yes, it is part of the package. Q: What are the dimensions of the scope? Q: What’s the magnification capacity? Q: What’s the field of view offered? Of course, the Nikon Monarch 3 BDC has its chain of demerits. However, these demerits can in no way become compared to the unique features of these tools and its merits. For instance, the tool is easy to mount, has high power magnification, and offers quick focus. Therefore, you will not be going wrong if you consider it especially for target shooting, big game hunting, and varmint hunting.